This is my first year hosting Thanksgiving for our friends and family. Naturally I’ve spent hours browsing beautiful tablescapes and unique Thanksgiving recipes but I’m no closer to being ready for November 26th than I was in March. Thankfully (see what I did there?) 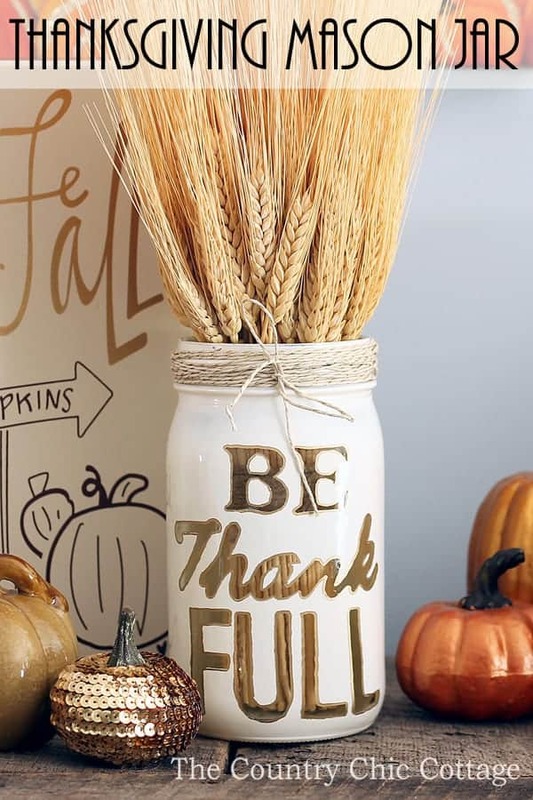 there is still plenty of time to turn my home, and my tablescape, into something worthy of Pinterest with these 10 DIY Thanksgiving projects. 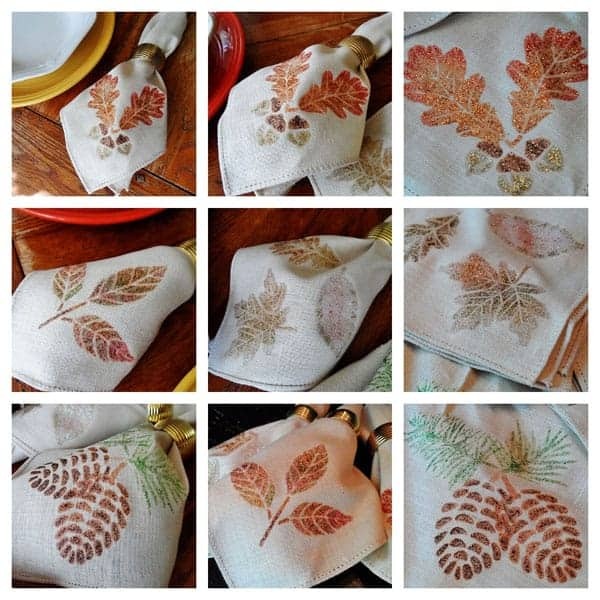 Check out these gorgeous napkins, napkin rings, place holders and centerpieces to transform your space. 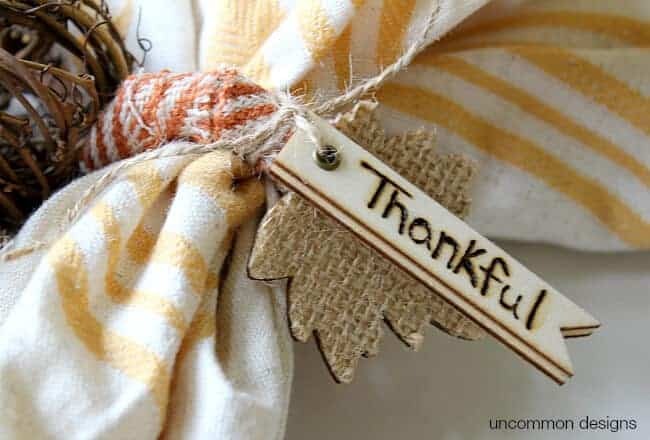 Be sure to check out our 12 Thanksgiving Crafts for Kids too! 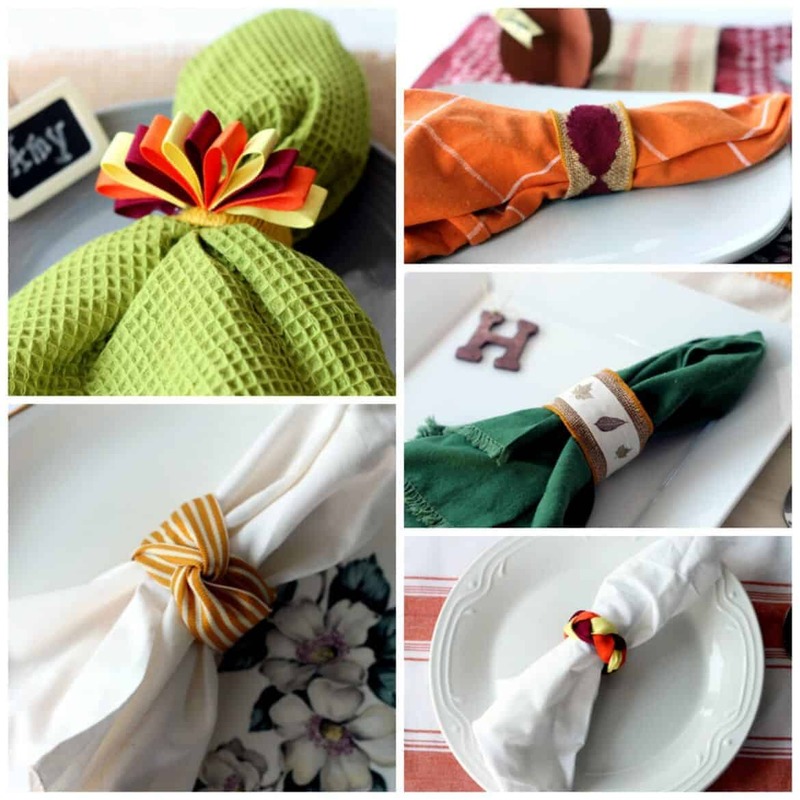 These napkin rings are so cute and you really only need about four items to make them. Plus, each ring takes less than five minutes so you can whip them out in no time. I love all of ways people are experimenting with mason jars and paint but I thought the idea of living the words transparent was a unique idea. This framed Burlap “Grateful” sign is so easy to make and looks great on her shelf. Another set of awesome Napkin rings, these require 7 tools and she writes a different word on each ring. 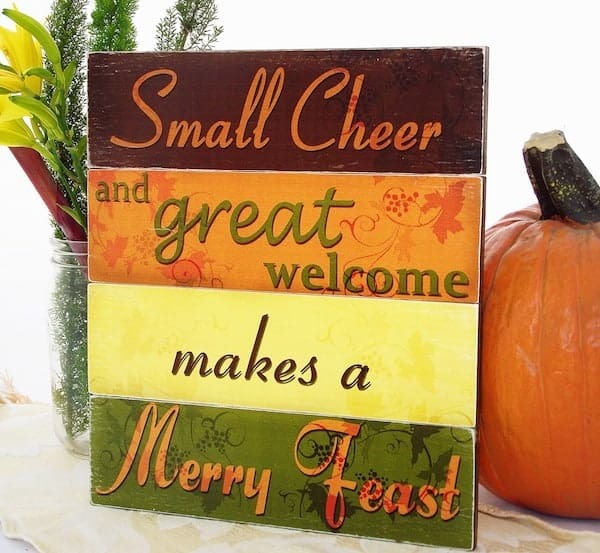 This Merry Feast sign looks just like something you would pick up in a home goods store, and it only takes a fraction of the price. She even includes the print outs for the wording. I’ve been trying to do my “month of thanks” on social media and failing miserably. I like this idea so much better. 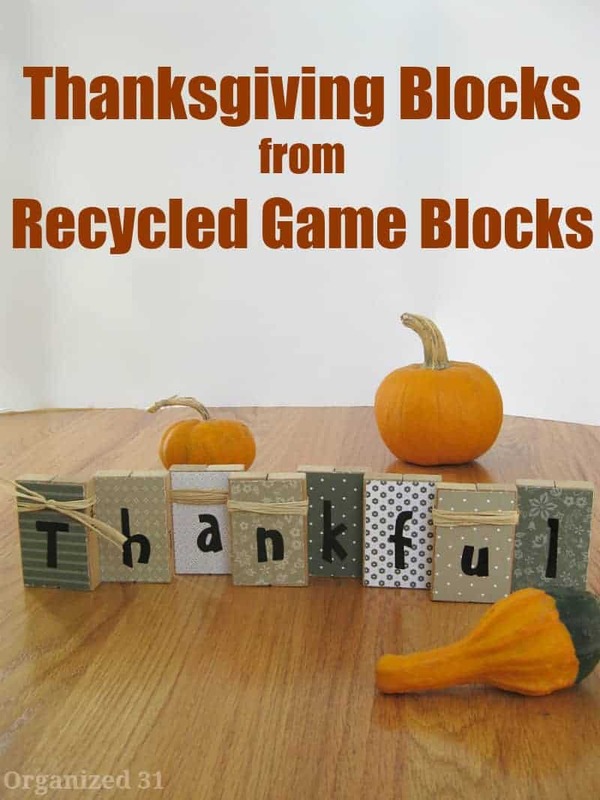 Organized 31 used recycled gaming pieces for this block art but you could also pick up wooden blocks from your craft store. How gorgeous are these glitter napkins? Plus, they would look great with either of the napkin ring ideas in this post. These place cards take just a few minutes to create and you can find most of the supplies as your local craft or dollar store. I love taking on Silhouette projects, so this DIY Thanksgiving chalkboard tray inspired me to pull mine out! I love the tray idea but it would also look great on canvas or in a chalkboard frame.